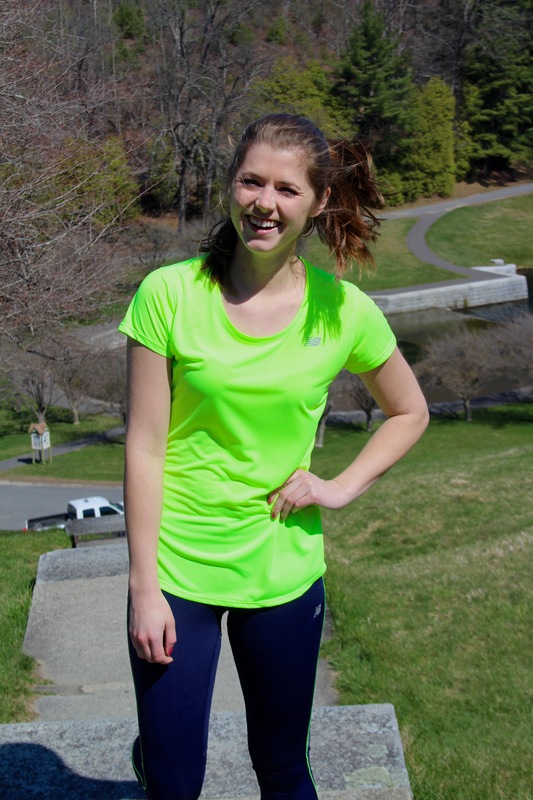 Today’s look is featured in one of my favorite New Balance hues for spring workout gear-toxic! It can be easy to fall into a rut with your workout routine, always going to the same gym and doing the same exercises day after day. When the weather starts to warm up I’m always anxious to jump back outside and start mixing up my routine a bit. 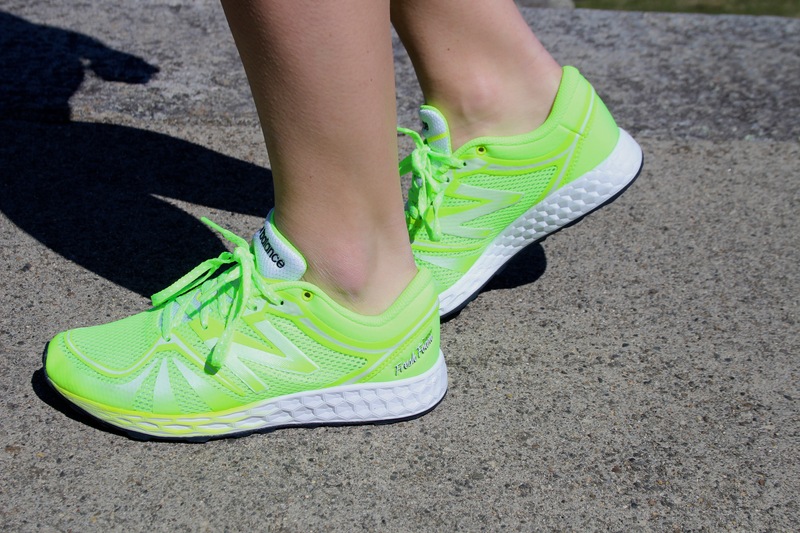 The first way of coping with this is naturally to buy bright and fun workout clothes, like these gems from New Balance! One of my old standby “non-gym” routines is running stairs. I vividly recall a family vacation to Hawaii during which my dad would come knocking on the kids’ hotel room bright and early in the morning and round us all up for “Camp Hummer” to make sure we got some sort of fitness in for the day. Sometimes these activities involved something exciting like hiking a volcano. Other times they were just finding some stairs at the hotel that we could run up and down, only slightly inconveniencing the other patrons, before we could eat our body weight in waffles at the hotel brunch buffet. 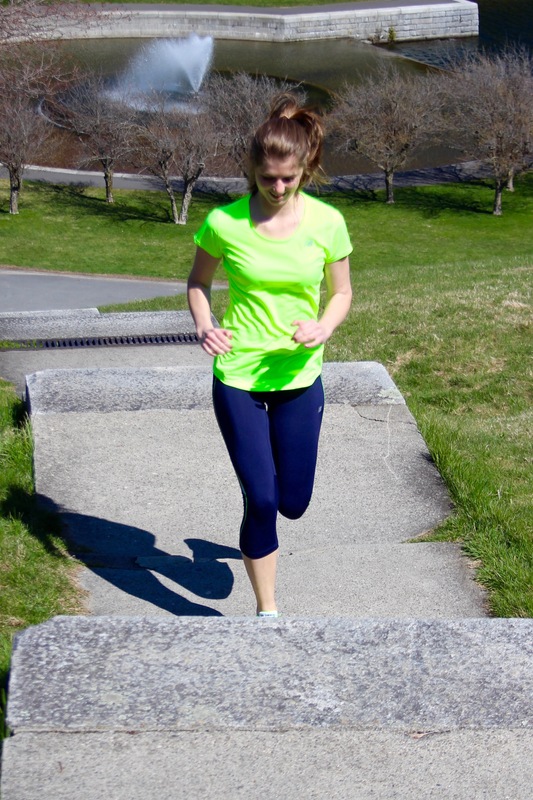 Running stairs is a great way to spice up your workout, with the added benefit of keeping you from weezing when walking up stairs in day to day life ;). My dad continued this tradition in finding stairs at the local high school or the Wachusett Dam to send us racing up after we got back from vacation, and it just stuck! 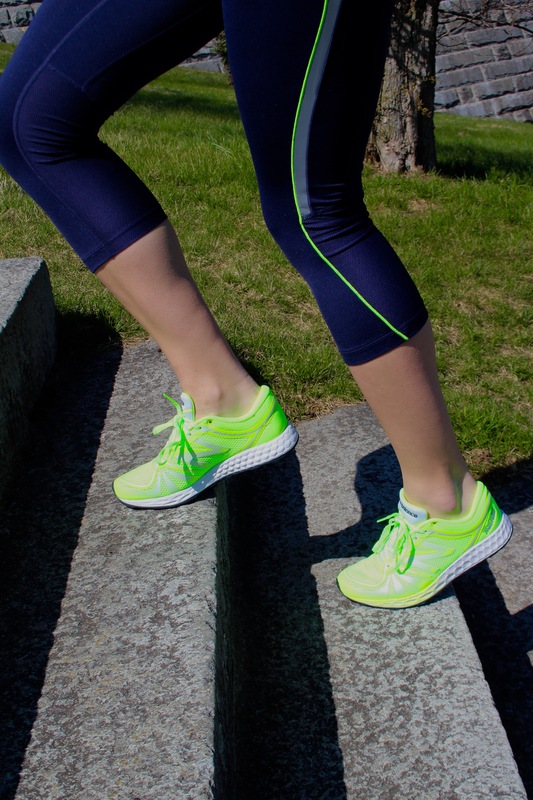 Don’t forget to join MyNB to start earning points and exclusive offers from New Balance! Thanks for stopping by! Happy Hump Day! I love all of the neon in this outfit! 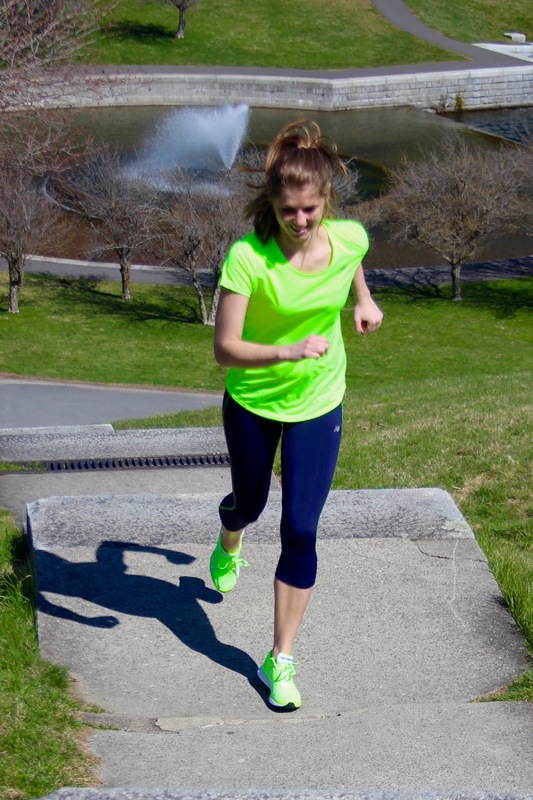 These photos are great… bright neon colors are awesome for workouts!! Today’s Post (so exciting!! ): Alena, again!